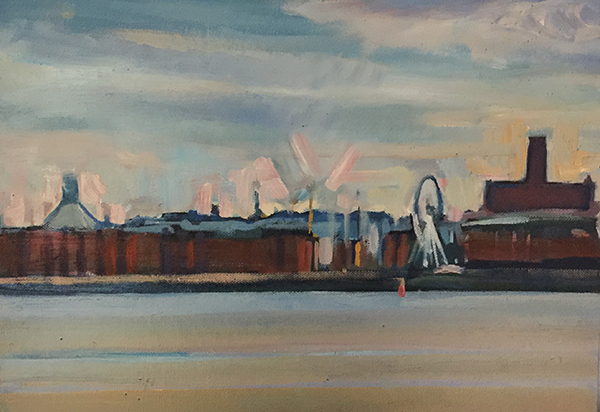 Back to the Mersey to paint this morning, three small one medium canvas…. Liverpool St. Michaels and October work…. Working on New York Pictures and John Moores Competition painting…. © 2019 Dominic Burkhalter's Paintings. All Rights Reserved.